Marie A. 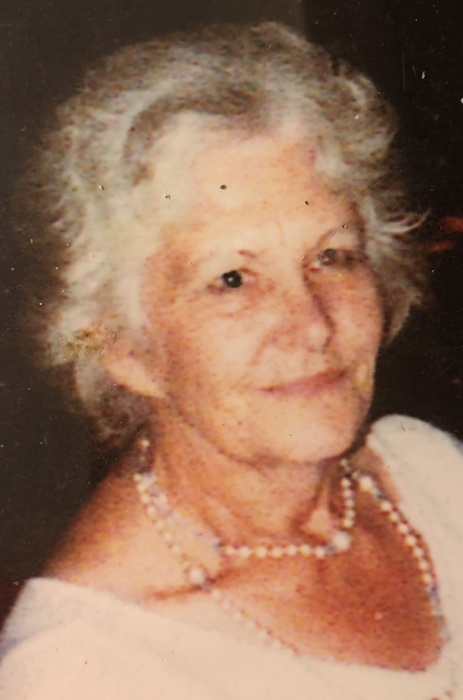 (nee DeVaux) Guerin, 86, of Niagara Falls, NY, passed away on Thursday, August 23, 2018 in Schoellkopf Healthcare Facility. Born on February 15, 1932 in Niagara Falls, NY, she was the daughter of the late Walter and Margaret (Sweatman) DeVaux. Marie married Norman E. Guerin, Sr. He predeceased her on July 8, 1999 after 49 years of marriage. Marie attended local schools and graduated from Niagara Falls High School. For a brief time, she was employed by the former St. Mary’s Hospital in Niagara Falls. Marie then went on to work for Nabisco and stopped working to raise her family. She was a congregant of St. Leo’s Church as well as St. James United Methodist Church and was a talented artist. The family wishes to extend a special thank you to the staff at Schoellkopf and Niagara Hospice for their compassionate care and to Davene Palmer, who she befriended during her stay. Marie is survived by children, Norman E. Guerin, Jr., Michele (Robert) Tiffany, Mark (Mary) Guerin, Kyle Guerin, Gregg (Michelle) Guerin and Eric Guerin; her sister, Susan (Paul) Barney and several grandchildren, great-grandchildren, great-great-grandchildren, nieces, nephews and cousins. In addition to her parents and husband, she was predeceased by a daughter, Cheryl (Randy) Stevens and siblings, Walter A. DeVaux, Marguerite Puntasecca and Robert DeVaux. Visitation will be on Wednesday from 3-7 p.m. in the Chapel of OTTO REDANZ FUNERAL HOME, 2215 MILITARY ROAD, NIAGARA FALLS, NY, where a funeral service will be held on Thursday, August 30th at 10:00 a.m. with Rev. Laura Norris-Buisch officiating. Interment will follow in Niagara Falls Memorial Park Cemetery, Lewiston, NY. In lieu of flowers, memorial offerings may be made to Niagara Hospice or to Schoellkopf Healthcare Facility. Arrangements are under the care of Michael R. Goodlander of Otto Redanz Funeral Home. Please visit www.goodlandercares.com for online condolences and to view her tribute video.